We all know how important a good night's sleep is for your health, wellbeing and sanity. But what if noisy neighbours, caterwauling cats, or worries about the day ahead won't let you get a decent amount of good-quality shut-eye? 1 Don't eat too late. Eat a light meal in the evening and ideally leave a gap of a minimum of two hours before bedtime. Avoid spicy food for a month and see if it makes a difference. 2 Do something relaxing before bed. Half an hour reading a good book (or flipping through a favourite 'coffee-table' book with gorgeous pictures) is a lot better than watching TV or a film. Don't use a computer, tablet, phone or any other digital device just before bedtime. Consider banning them from the bedroom entirely. A warm bath or shower can be relaxing and can help you de-stress. Try to avoid phone calls. 3 Make sure your bedroom is dark enough. Consider fitting a blackout blind or adding blackout linings to your bedroom curtains. A face mask might be a good alternative. 4 Consider the temperature of the room. A bedroom that's too hot or cold can ruin your sleep. Apparently the temperature of your feet is particularly important. If you're tossing and turning you're not sleeping well. And neither is the person beside you. 5 Is your bed part of the problem? A squeaky base/frame can be a cause of tension and make you feel unstable all night. Bed retailers say that a divan is firmer than a slatted base. But if you're stuck with slats, maybe see if you can add a few screws to make it firmer. Placing a piece of board or plywood at the head end (under the mattress) will raise your head a tiny bit which can also aid sleep. 6 Mattress – if your mattress is more than eight years old, it's probably time for a change. Choosing a new one might take time, but adding a thick mattress protector could be a temporary fix until you find a new one. 7 Is your pillow past its sell-by date? We use pillows on average for twice as long as we should. Is it time to replace yours? 8 Bedclothes – is your duvet the right one for the season? Investing in a new set of plain cotton sheets can refresh the whole room and give you a better chance of a good night's sleep. Think too about how often you change the sheets. Aim for once a week (especially in summer) if you aren't already. Just changing the pillowcase can make a big difference. It's also a good idea if you suffer from skin problems. Consider your laundry – clean sheets won't help you if you're sensitive to the detergent you're using. Perhaps a non-biological option would help. Some suggest that air-dried sheets are better than those dried inside the home or tumble-dried. 9 Cut out sounds. Total silence can be hard to find or create. Good quality dense foam or silicone earplugs can reduce surrounding sounds by up to 10 decibels. 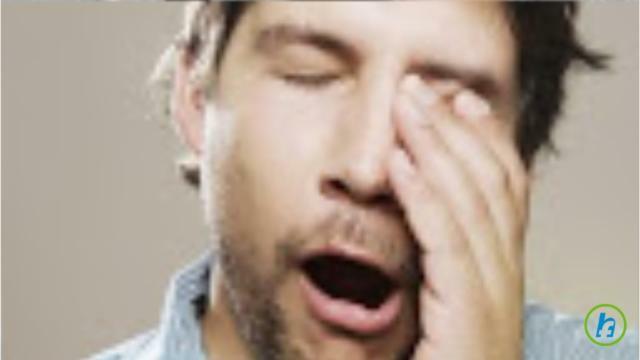 Perhaps surprisingly, adding sounds can help you sleep better. Some people have found that the repetitive sound of waves gently lapping on a beach sends them off to the Land of Nod. You can find examples on YouTube to see what might work for you. 10 Could scent help? Try a lavender or camomile-scented pillow spray or just put a lavender bag under your pillow.